Your WAD can contain multiple maps, and their numbering is determined by the source IWAD you choose to use. For Doom1, or Freedoom1, you get 4 episodes of 9 maps each: E1M1-9, E2M1-9, E3M1-9 and E4M1-9. For Doom2, or Freedoom2, you get 32 maps: MAP01 - MAP32. This manual will focus on the Freedoom1 IWAD. 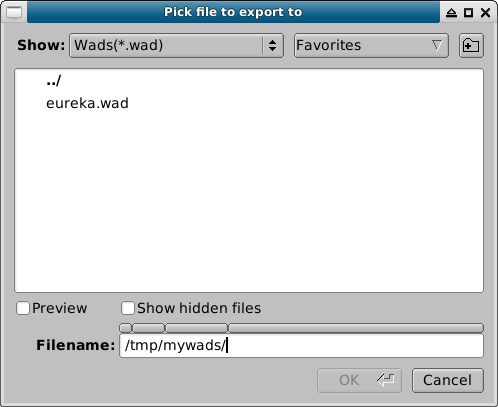 Use the File -> New Project menu to create a new WAD, choose the location and file name, click OK. If you are a GNU / Linux user, you can find the location of the executable with the bash command which prboom. Use the File -> Open Map menu or press control-o. 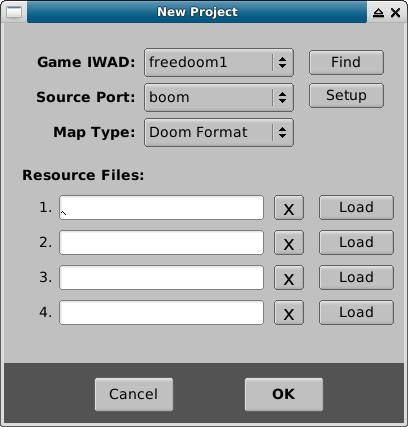 Make sure you pick Find map in the PWAD above, otherwise you will be modifying the maps from the freedoom1 IWAD. Use the File -> Fresh Map menu, you are prompted to pick the slot where the new map will be placed, green slots are empty and red slots already contain maps. 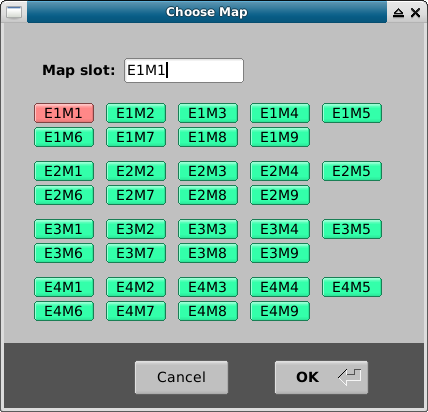 Use the File -> Rename Map menu to change the play order of a map, a dialog prompts you to pick the new slot for the map. Slots with existing maps cannot be selected. Use the File -> Copy Map menu to copy the current map to another slot. 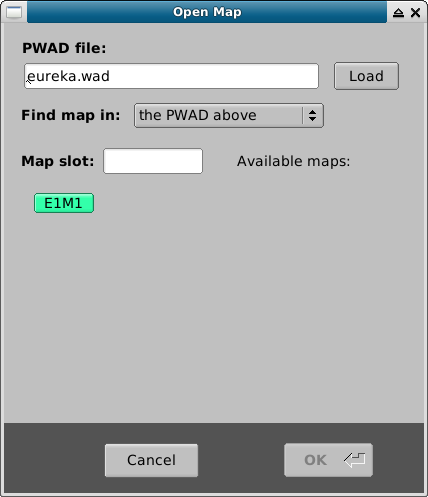 Use the File -> Delete Map menu to remove the current map from the WAD. You will be prompted to confirm the delete. © Copyright 2018, Eureka Doom Editor. Created using Sphinx 1.7.9.